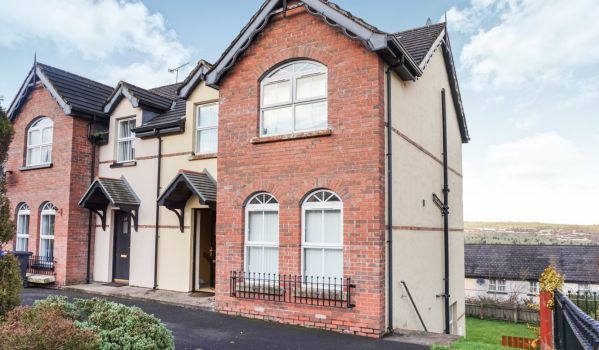 Uncertainty surrounding Brexit dampened the housing market in 2018, but regions in the Midlands and North have bucked the trend. December saw house price growth in the UK fall to the lowest level in almost six years, with the outcome of Brexit weighing on the market. Nationwide Building Society has revealed that property values crept up by just 0.5% in the whole of 2018, making it the lowest annual rate of growth since February 2013. The housing market saw out the year on a dreary note, with prices falling by 0.7% during December, leaving a typical home now costing £212,281. Breaking down the figures regionally, there was substantial variation across the UK, with property prices rising by almost 6% in Northern Ireland in 2018. Nationwide blamed the sub-par performance on doubts causes by Brexit, stating that it occurred against a backdrop of low borrowing costs, solid employment growth and stronger wage increases. The building society said consumer confidence had weakened in December, along with a slowdown in the number of properties coming on to the market. Above: A four-bedroom family home just outside of Londonderry, Northern Ireland, that's up for sale at £130,000. The property market in London and the South East saw the poorest performances over the past year. House prices fell marginally by 0.8% in London in 2018, while in the outer metropolitan region they dropped by 1.4% and were unchanged in the rest of the South East. At the other end of the scale, prices rose by 5.8% in Northern Ireland and by 4% in both the East Midlands and Wales. Yorkshire and Humberside also enjoyed a fairly strong performance with gains of 3.7%. Growth in other regions stood around the 1% to 3% range. Nationwide noted that 2018 saw a further narrowing in the north-south price divide in England for the second consecutive year. The trend was unsurprising following several years of strong house price growth in southern regions, which had left affordability stretched in these areas. However, despite the reduction in the north-south price divide, there is still a dramatic difference in the typical cost of a home in the South in comparison to the North. Prices in the South are nearly double that of those in the North at an average of £329,240 compared with £166,642. In Yorkshire & Humberside, the North West and North property values are still close to 2007 levels, while in London they are more than 50% higher.